It’s the 3rd day of sessions here at SES. I’m lucky to get to sit in on one of my favorite speaker’s sessions – Shari Thurow. I’ve filled up on coffee and it’s kicking in so with any luck I’ll be able to get you all some decent information on this topic. After some technical difficulties, looks like the show will go on. 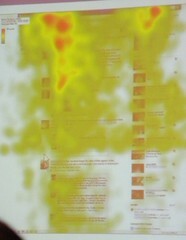 She’s going to do a quick review of eye tracking, then go into the information scent and search engines. After that is eye tracking and SERPs and landing pages. Sounds juicy. Read more from Eye Tracking Research Update. So, you’ve invested a ton of time and resources in SEO to reap the rewards of rankings and traffic – but what then? Without some form of conversion that affects your bottom line, what do you have to show for all your hard work? Conversion optimization is a progressive and scientific way to ensure your site is performing for you once a person arrives at it. I sat down with Scott Fowles, an SEO analyst at Bruce Clay, Inc. who approaches SEO with experience in conversion optimization, testing, Web development and graphic design. I asked him about this new and often overlooked optimization trend for websites. 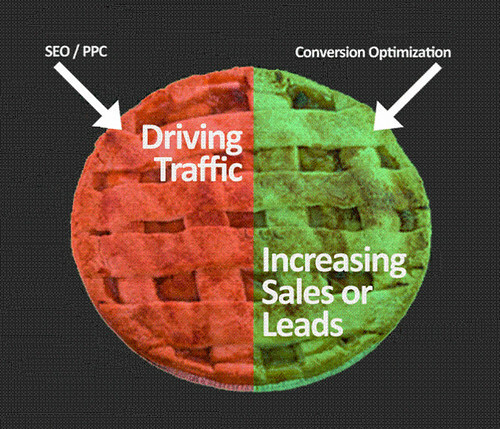 Read more of Your SEO is a Waste of Time Without Conversions. The new Jabulani soccer ball being used all month during the World Cup is meant to be faster, more accurate and more reliable. 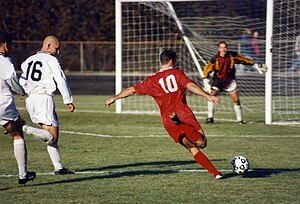 But even such noble qualities didn’t help the change find acceptance with those playing the game. Read more of When the Game Changes, Change With It. This is it! Our final session of SES NY and it’s sure to be a great one. Why? Ninjas and Tim Ash are involved. End of story. Or is it just the beginning? Sage starts off with his signature high energy, which is surprisingly energizing at this point in the show. He says that Tim will be giving a keynote at Conversion Conference in San Jose in May and that the early bird rate ends April 15. Ahh. One of Susan’s favorite subjects. Shari Thurow is up first. Continue reading Eye Tracking Research Update. Happy New Year! You’ve come to just the right place to ring in 2010. Looking back at the best practices, expert recommendations and search engine shifts over the last year puts marketers in a prepared state of mind entering the new year. Below you’ll find knowledge nuggets from the year’s most popular conference posts on analytics and conversions, search info for execs, advanced SEO and advanced PPC. 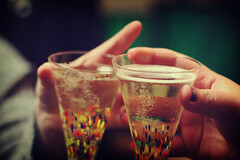 So before you toast to a prosperous year to come, get a little introspective with these top takeaways of 2009. Read more of Best of Search Conferences 2009: Day 3. 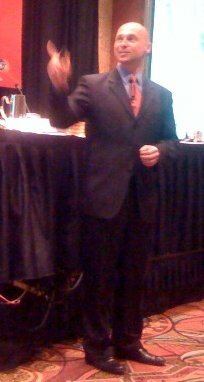 Welcome back to this week’s roundup of the most popular conference coverage on the Bruce Clay, Inc. blog in 2009. You’re in the groove and back for Day 2, where today’s topics are: the future of search, mobile and local marketing, video marketing, and holistic search integration. With four session tracks, plus a keynote address and an SEM Synergy podcast, there’s plenty to cover, so away we go! 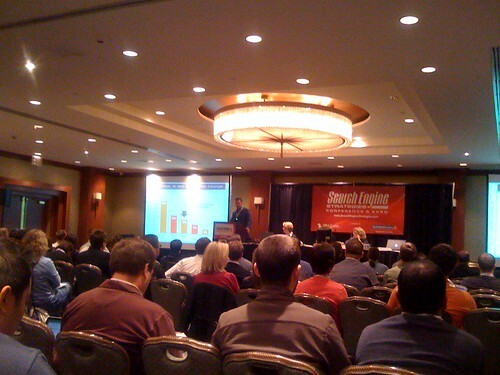 Read more of Best of Search Conferences 2009: Day 2. The 74th volume of the SEO Newsletter hits inboxes today. Subscribers will find all the usual bite-sized news bits from the last month in search and SEO. If your appetite is more substantial, the articles offer just the treat. The high-level overview of the happenings of the year is a lovely pairing for the nitty-gritty guide to Web design for SEO. And of course, any end-of-the-year edition finds a smooth finish when washed down with some bubbly. But first… you’ll need to have your head on for these. Read more of December 2009 SEO Newsletter. My name is Paula, and I’ve switched from Google to Bing. Last week was a bit mind-blowing for anyone watching the search industry. Google’s new feature announcements kept coming, fast and furious. It started with their policy change to track and personalize search results for all users, which they sneaked in past the Eastern close of business the Friday before. Monday morning’s Web Search Evolution event cranked the fire hose up to full blast as Google demoed real-time search, Google Goggles, real-time language translation, voice recognition-powered “What’s Nearby” searches for mobile users, and so on. And the innovations show no sign of letting up, with glimpses of the future Google phone and a new Google URL shortener making news already this week. Here are a few of my observations and criticisms as a new Bing user. Read more of Making the Switch to Bing.